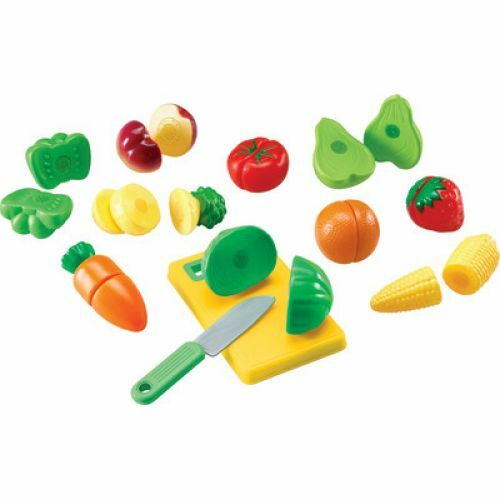 Match food pieces together with hook-and-loop fasteners, then “slice” them apart using the play knife and cutting board. 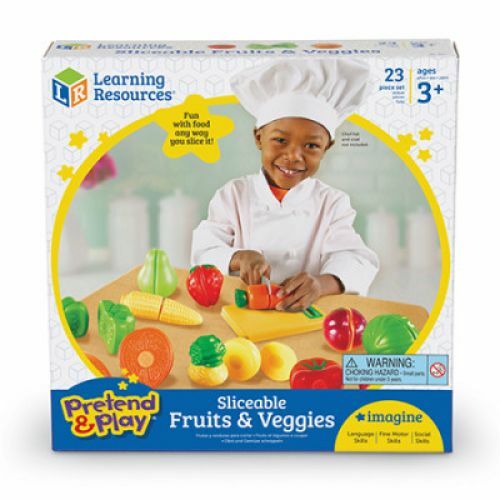 Great for building fine motor skills and language during imaginative play! 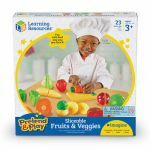 Basic Concepts-Students can role model food preparations from caregivers while instilling healthy practices for eating fruits and veggies. 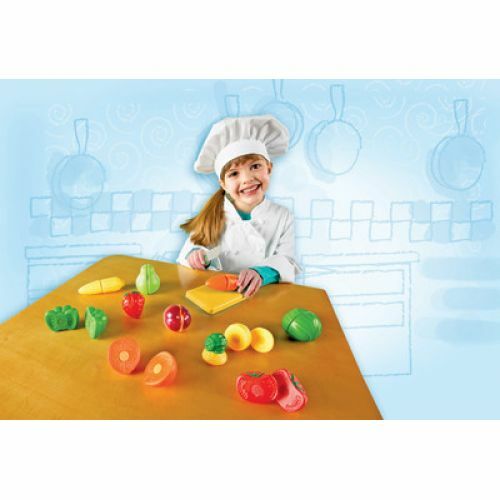 Math- Play food pieces join by hook-and-loop fasteners- great for exploring how separate parts connect together to make a whole. 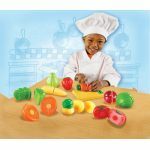 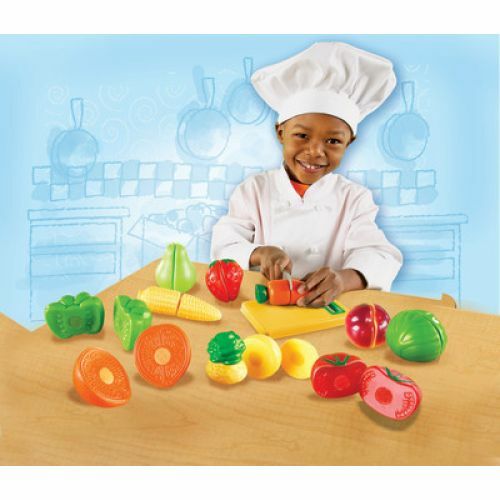 Fine Motor- Build fine motor skills by using both hands to hold the fruit steady and use the pretend knife to slice the fruits and veggies.